More than 12.9 million containers have been deposited since the scheme started. The ACT Container Deposit Scheme (CDS) has seen more than 14 million containers deposited already since the scheme started on 30 June 2018. 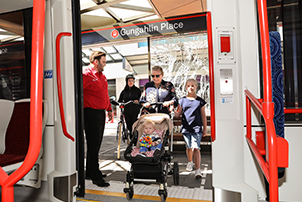 The Canberra community has supported the scheme, with average return numbers tripling in the first six months of operation. Aluminium, glass, and plastic make up the bulk of containers returned, together with smaller amounts of HDPE, liquid paperboard and steel. There are return points located across Canberra including three Return-It depots located in Fyshwick, Mitchell and Phillip open from 8am-6pm weekdays and 8am-4pm weekends during daylight savings.